Go back a decade earlier, there were really not a lot of options when buying vanities. And vanities were only kept at one corner in a bathroom. During those days, vanities were only used to wash our face or the hands after and before taking our food. However, now, modern vanity is different. There are incredibly large numbers of options, and look at the designs of these new vanities – they are simply unmatched. The interiors inside the bathrooms have forced vanity manufacturers to come up with innovative modern vanity designs. Today, these designs include chestnut finish and even the faucets are matched with vanities. 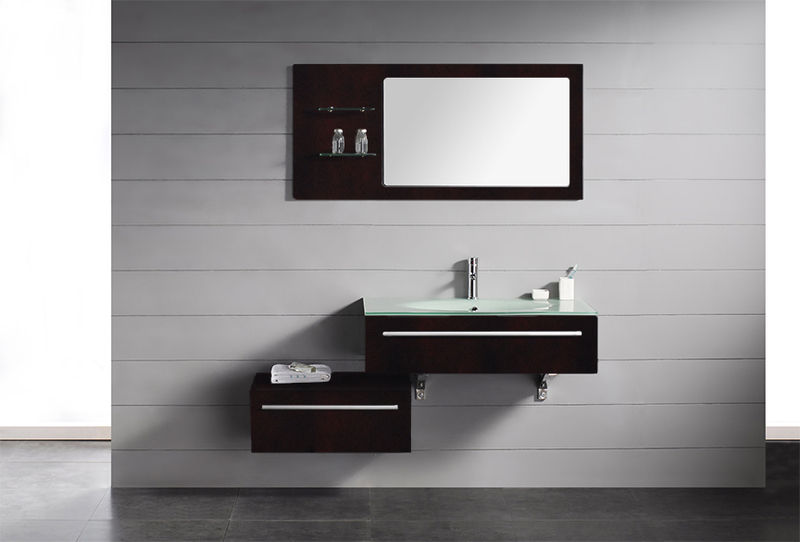 You can now install vanity not just inside the bathroom, but also near your dining space. 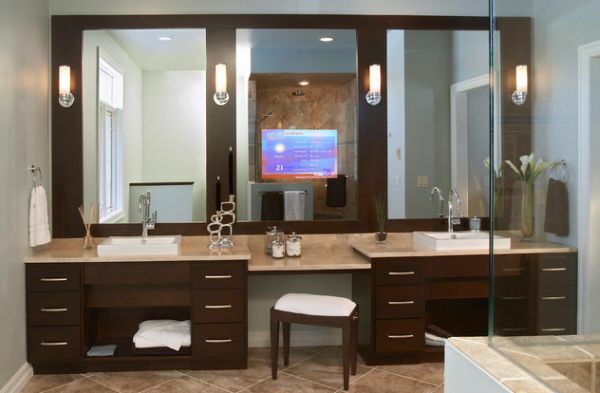 The modern vanity has become more of decorative furniture rather than the place where you wash your hands. Even the colors of these vanities have undergone a sea change. Imagine a glossy white bathroom vanity, or a brownish vanity near your dining space. Don’t forget to take a look at the white oak coloured modern vanity. When you buy always take into consideration the colour of the walls, so that the modern vanity you buy must match each other. Even if you decide to purchase a contrast color vanity, you must ensure that the color should be opposite to each other otherwise it won’t appear attractive. You also have black vanity, which goes well with any wall color. Talking of more colours there is grey. The one is lavender grey, while the other is stone grey. Both grey have a very sophisticated appearance, which lifts the whole interior. You may fall in a dilemma, while you set yourself for a modern vanity purchase. What do you choose a single sink vanity or the double sink one? When there are only fewer members in a family, then opt for a single sink vanity. Single sink vanity will occupy less space, which also means that if your house doesn’t have a lot of space, buy the single sink vanity. On the other hand, double sink is good for a large bathroom. It gives you more options. You will love the feel of a large vanity. However, installing double sink vanity near your dining space can be tricky, especially when there is not much space left around. Yes, you may need a double sink vanity, if you have a large family. Modern vanity is expensive. There is no end to what you can spend. Modern designs are so artistic, which may force you to spend money on buying the best. A good well designed bathroom vanity with a single sink can be anywhere near $1000, and if you are determined to make your bathroom more adventurous, you may well add few hundred dollars more into the mix. A double sink bathroom vanity will cost around $1400 for a start. 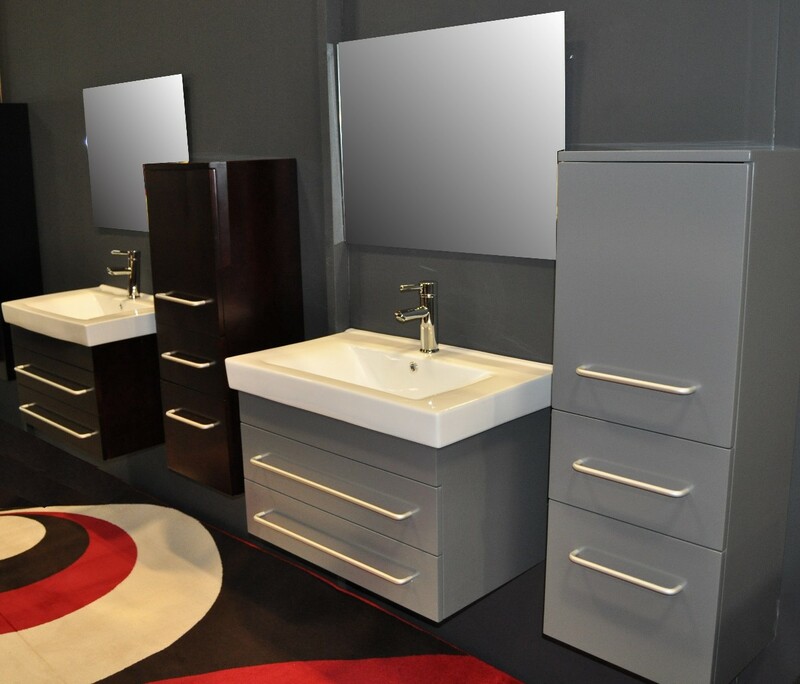 You can spill more and you will find great designed modern vanity up for grabs.